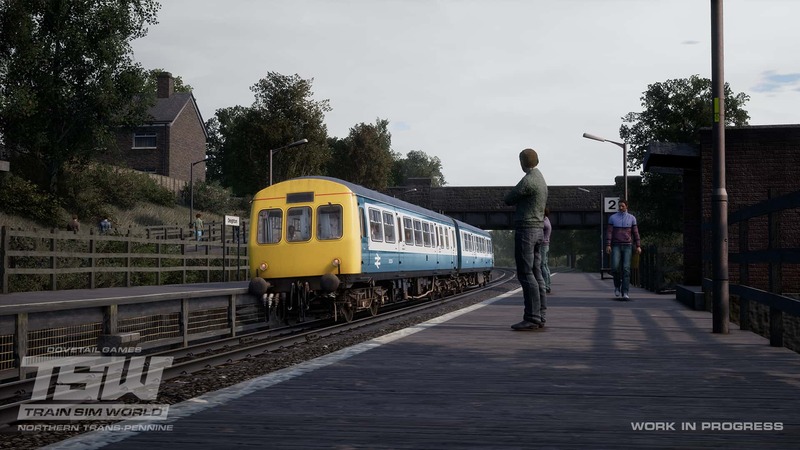 Set in 1983, Northern Trans-Pennine brings to life the Huddersfield Line, which was built between Manchester Victoria and Leeds City to compliment the growing canal network of the region. Unlike other railways in the area, the Huddersfield Line tackles the Pennines directly, resulting in consistent and challenging gradients, as well as significant tunnelling in places. As the steam-era was quickly drawn up for an abrupt end by the mid-to late 1960s, the British railway network needed a vast and swift conversion to diesel traction, nation-wide. While the Western Region had opted for diesel-hydraulic options, the British Transport Commission was doubtful this would be the best approach for the railway’s future and started exploring diesel-electric traction. The new locomotives needed to be both lightweight, and easily attain a “Type 4” locomotive status (meaning they had to produce between 2500 and 2999 horsepower). Two prototypes were built for testing purposes, their names being Lion and Falcon. Each was built by a different manufacturer and featured differing engine types, however before any testing could begin, the necessity for new engines was too great and an initial batch of new locomotives started production. The new locomotives, combined with the trialled Lion, would eventually lead to a much larger batch of locomotives, which would be built by Brush Traction. 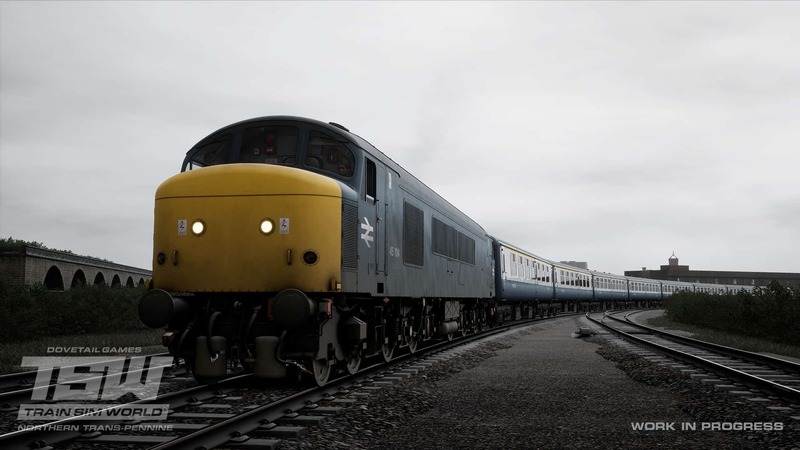 In all, between 1962 and 1968, a grand total of 512 “Brush Type 4” locomotives would roll out of Loughborough and Crewe Works – numbered from D1500 to D1999, and D1100 - D1111. 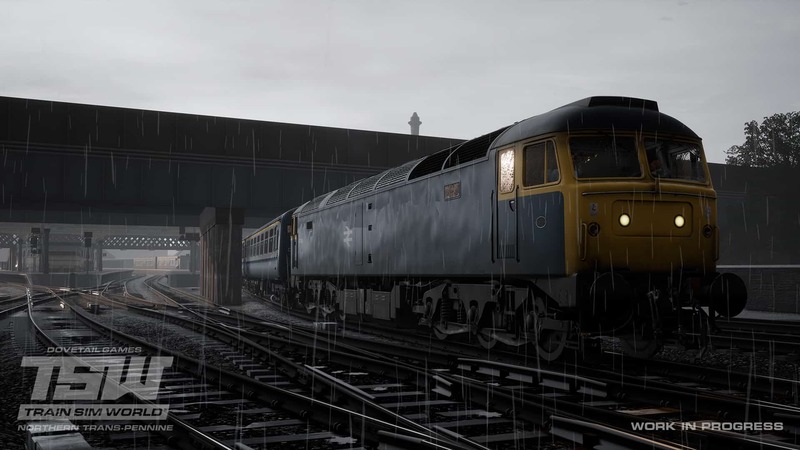 The Type 4s, or as they were later known, the Class 47s, quickly went to work, replacing steam locomotives on both passenger and freight duties. The BR Class 45 was built by BR’s Derby and Crewe Works between 1960 and 1962. These Sulzer Type 4 diesel locomotives were the main workhorse of the Midland Main Line from their introduction until their withdrawal in the early 1980s. 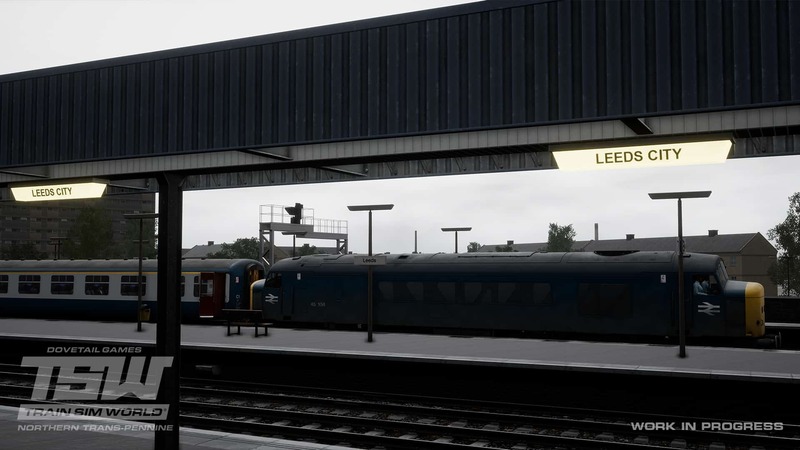 When initially put into service, the ‘Peaks’ – their nickname inherited from their Class 44 predecessors – were fitted with multi-unit working and steam heating boilers for passenger services. However, in the early 1970s, 50 of the 183 built were fitted with the more modern electric train supply in place of steam heating boilers and renumbered as Class 45/1. With a top speed of 90mph (145 km/h), the ‘Peaks’ also worked the Northern Trans-Pennine route from Manchester, Leeds and Liverpool, becoming a common sight among the hills until newer traction took their place. The BR Class 101 was one of the largest classes of first-generation Diesel Multiple Units on the British railway network. 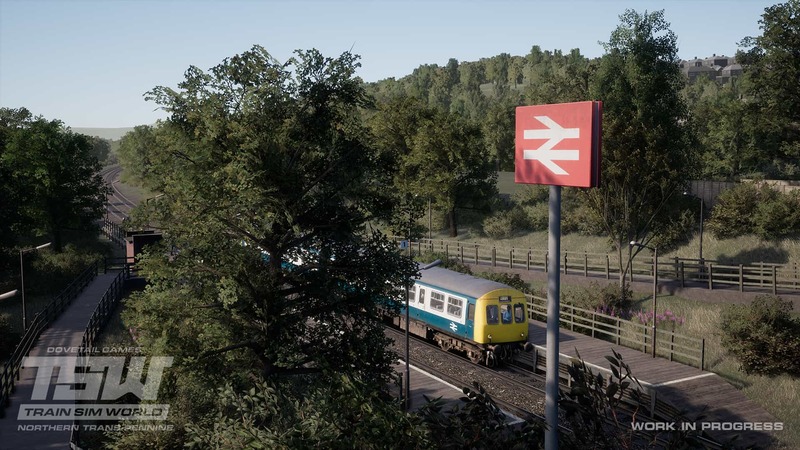 Built by Metro-Cammell Works in Birmingham from 1956, the BR Class 101 was made up from a number of sub-classes, making them the most numerous and possibly most successful and well known of first generation DMUs. Sets were supplied in two, three and four car sets, depending on the service they were intended for, and passenger accommodation was provided in first and standard class configuration; the best seat in the house was at the front, because passengers could look through the cab and see the route from a driver’s perspective. They were a frequent sight on local duties, stopping at smaller stations where the loco-hauled expresses would fly through. 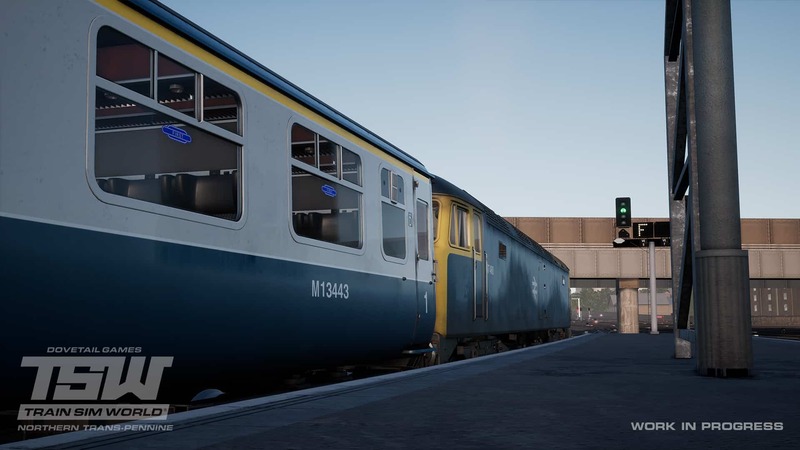 More than 500 units of the BR Class 101 were built and could be seen on routes across the country and saw service many years into the privatisation of Britain’s railways. The final five units survived 47 years of service, finally being withdrawn on 24 December 2003, but thanks to their longevity many units have been preserved on the country’s heritage railways. Each form of motive power has its own nuances, but perhaps none are quite as unique as the BR Class 101. Unlike the diesel-electric technology aboard the BR Classes 45 and 47 (where the engine drives a motor to turn the wheels), the 101 is a diesel-mechanical unit, which means it drives very much like a car, using multiple gears which must be manually shifted up and down. An interesting feature of the route in 1983 is that it was not fitted with AWS or other modern safety systems. These weren’t fitted until much later, following the electrification of the East Coast Main Line in the days just before privatisation in 1992. The route as featured in Train Sim World will replicate this and will provide an interesting perspective of what it was like to drive trains without any of the modern protections every driver or railfan takes for granted today. The clock is ticking, it won’t be long until December 13th is here and you can be transported back to the 1980s. 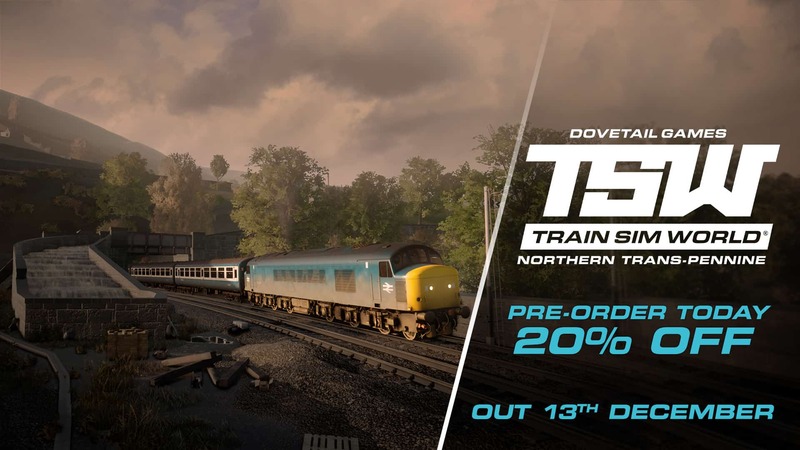 If you want to get on-board, pre-order Northern Trans-Pennine: Manchester – Leeds for Train Sim World and save 20%!